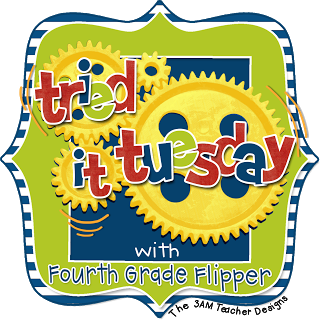 Five for Friday: Cold Temps, Note Taking & Text Structure Review! It's Friday! We only had school three days this week due to cold temperatures & MLK Jr. Day but those three days were exhausting! 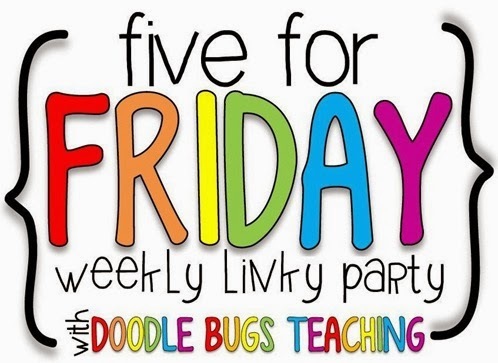 Don't forget to visit Doodle Bugs Teaching for a peek at everyone else's week and some great ideas! It's been freezing cold this week! It's been below zero every day.... I loathe looking at the temperature reading in my car each morning. Started off our week with a Maya, Inca, and Aztec review! We watched The Road to El Dorado and tried to decide who the mythical tribe in the movie might be. There were details to support all the tribes but our most powerful evidence seemed to point towards the Aztecs. After watching the video, we jotted down any additional information / similarities in our Latin America flipbooks. We finished up taking notes for our argumentative essays this week. Working a blog post about our essays - it's my favorite unit! Many students found the 3-2-1 note taking model the most helpful! Some students had already jotted down facts or highlighted them in the article... hence the X's. We also practiced taking "movie" notes this week! We talked about how videos can have a text structure like nonfiction and it's important to take good notes while watching a video. We used this short video on Sally Ride (since in science the students are studying space). The kids also seemed to really like learning about the 2-Column Cornell Note Taking method. It really seemed to click for most of them! Now, students are ready to watch videos on their topics and take our grade wide Common Assessment. Lastly, my purchase of the week was Teaching With a Mountain View's Differentiated Informational Text Structures task cards. I wish I would have found these earlier! Our nonfiction unit is very heavy on text structures and how the structures give you information about a subject and helps you understand the topic. I plan on using these as an intervention for kids who still need help with this skill! They are fantastic! Worth every penny! Does anyone else have any great note taking strategies they teach their students? Our fifth graders need lots of help deciding what's important! I must confess that I'm a school supply junkie. I buy them all the time, year round! I love a good deal on school supplies! However, I usually find the best stuff at back to school time and then I'm good to go. This year, I found a great vertical polyfile to hold all my answer keys and graded papers at DEALS for $2 dollars... but then the clasp broke and it no longer held all my papers. Boo! So today, I was at Kroger picking up a few things for dinner when I spied a new 8-pocket polyfile in the clearance section! And this 8-pocket is not a "shove it all in" but instead has four rows of tiered POCKETS! I'm so in love! I just had to share my new find with the blogging world! It's called a Docit 8-Pocket. They were created by a teacher and have an entire website explaining their function... they each old up to 200 pages! Nice! I bought one for each class of mine! Mine was on clearance for $2... perfect price! Amazon sells them for $11.63 - YIKES! For a folder? Really Amazon? Their website says they sell them at quite a few stores across the country. I bought a pink and blue one for my graded papers and answer keys. The tiered pockets are also very handy for holding stickers, my easy grader, and other little "things" I tend to collect when grading! Here's to staying organized in the new year! What great finds have you stumbled upon lately?